Frank Miller Lumber has served the needs of our customers and our forests for more than 109 years. In 2009, we sought to further demonstrate our commitment to sustainable forest resource management by becoming FSC® certified. In the world of “green” building, many architects seek sources of FSC® certified lumber for their projects. This is especially true of projects striving to meet Leadership in Energy & Environmental Design (or LEED) standards. LEED building projects are awarded one LEED point for using FSC certified hardwood. 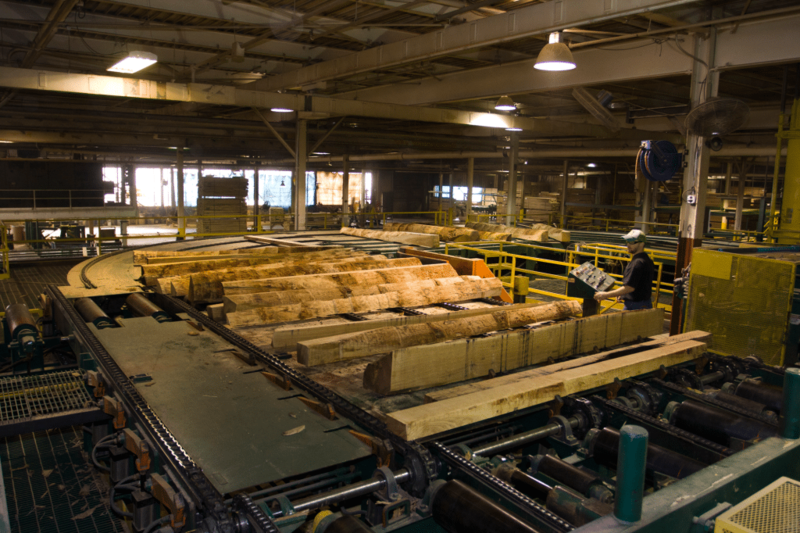 A second LEED point is awarded if the FSC® certified lumber is sourced from within 500 miles of the project. Frank Miller Lumber purchases their logs from a group of loggers with whom they have had relationships for decades. 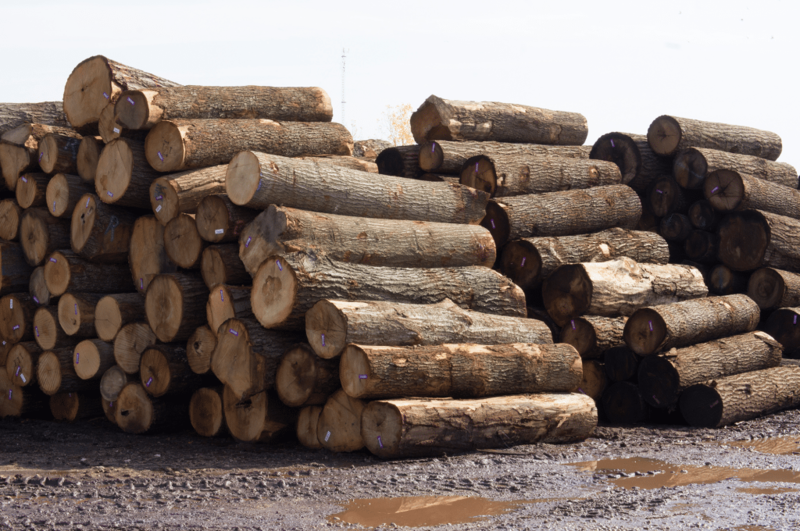 Frank Miller Lumber has a log procurement radius of approximately 450 miles from the mill. Forest inventory data shows there is nearly twice as much hardwood growing within that radius as existed 50 years ago. Our FSC certification confirms that Frank Miller is vigilant in tracking FSC certified hardwood log purchases and FSC certified lumber production. One requirement to maintain this certification is an annual audit by Scientific Certification Systems (SCS) to confirm our compliance with their record-keeping requirements. Frank Miller has consistently passed these audits with flying colors each year. It is important to recognize that the American hardwood industry has become a model of sustainable forest management for the world. Today, all American mills know where their logs come from. This is one reason the Seneca Creek study (2008), concluded that less than 1% of all timber harvested in the United States is done illegally. Any illegal harvest conducted in the United States can be traced to a simple land ownership confusion rather than any sort of ongoing criminal enterprise. Sadly, the same cannot be said about other hardwood mills around the world, especially in third world countries. The Forest Stewardship Council was truly established to protect forests around the world and the indigenous peoples who rely on those forests. Frank Miller Lumber is proud to be FSC Certified and regularly holds one of the greatest volumes of FSC certified quartersawn hardwoods in the United States. If your project requires FSC certified hardwoods, look to Frank Miller Lumber to satisfy those requirements. For four centuries, American hardwoods have been providing beauty and authenticity, warmth and integrity, lasting aesthetic and functional value to interiors. For floors, furniture, mouldings, millwork, cabinetry, and built-ins, American hardwoods are the very definition of green building materials, in abundant and self-renewing supply. • Harvesting levels are far below the level of growth. Annually, nearly twice as much hardwood grows each year in U.S. forests as is harvested. For this reason, the volume of hardwoods in American forests today is 90 percent larger than it was 50 years ago. • Hardwood foresters follow professional best practices that mimic natural forces. Individual trees are selected for harvest, encouraging forests to renew and regenerate themselves naturally and abundantly. • For every hardwood tree harvested in the United States, 2.1 trees take its place through natural regeneration. • Virtually every part of the log is used as lumber or by-products. Finished products are re-usable, recyclable and biodegradable. Frank Miller Quartersawn Hardwood is fully committed to environmental sustainability. We are a chain of custody (CoC) FSC Certified hardwood supplier, which verifies that FSC-certified material has been identified and separated from non-certified and non-controlled material as it makes its way along the supply chain from A all the way through to B. Projects specifying Frank Miller Quartersawn Hardwood products qualify for LEED points.